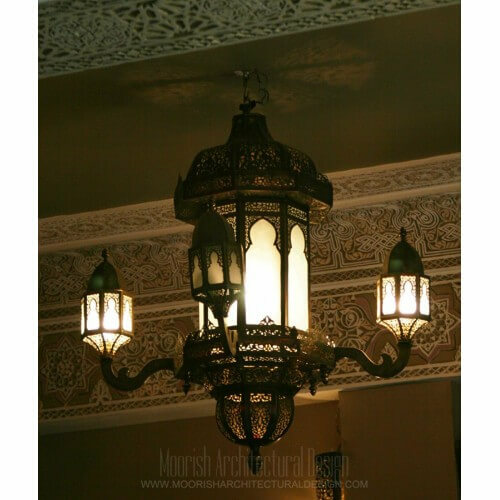 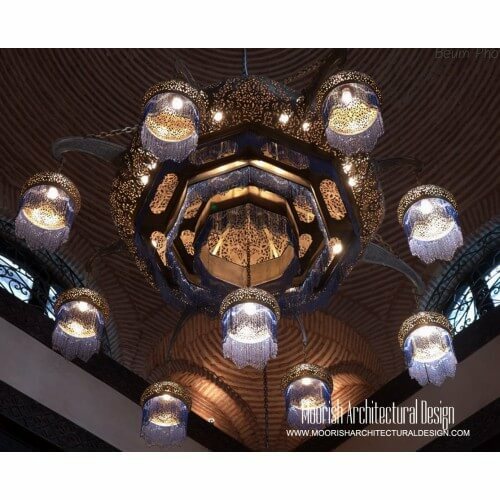 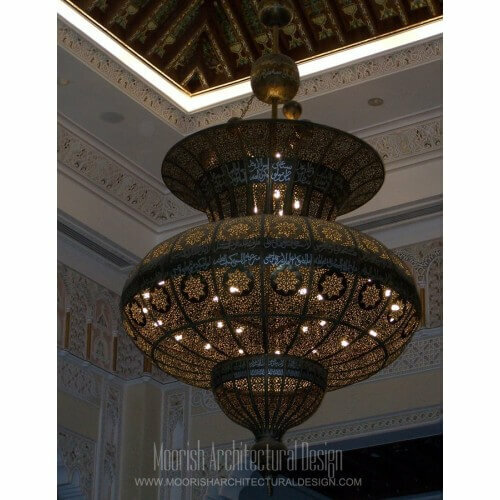 Featuring high-end, high-quality handmade Moorish pierced brass chandeliers, Moroccan filigree chandelier, large rustic Mediterranean hanging lights custom handcrafted to your specifications. 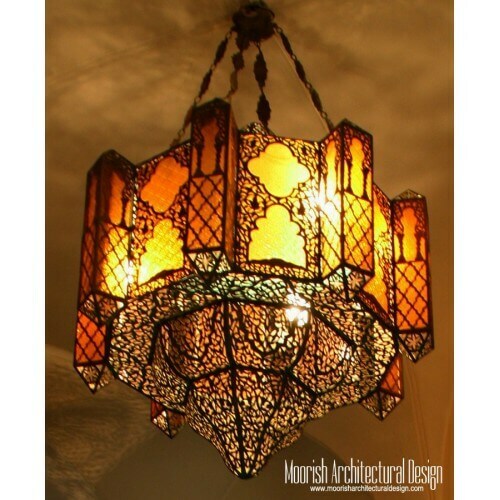 Whether you are looking for a lighting fixture to grace your foyer, set the tone in your dining room, or add character to another room in your house, Moroccan chandeliers are the classic choice for making a big impression. 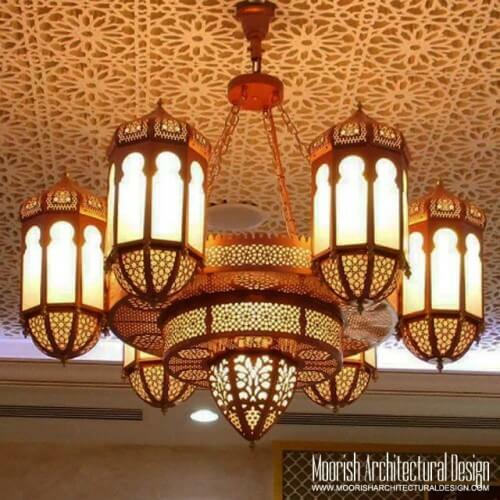 Moroccan Chandeliers are decorative fixtures, meant to impart style and ambiance, so do not expect your chandelier to be a room's primary light source. 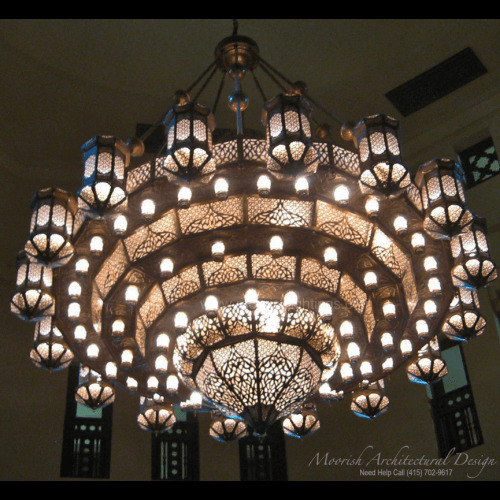 This is one of the biggest mistakes you can make with a chandelier. 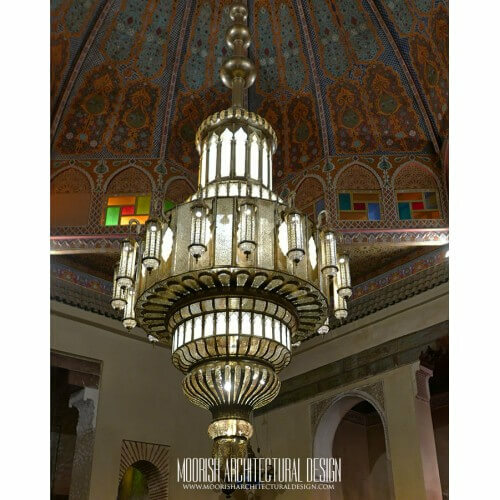 Placing a single fixture in the center of a room and expecting it to entirely light that room is a recipe for bad lighting. 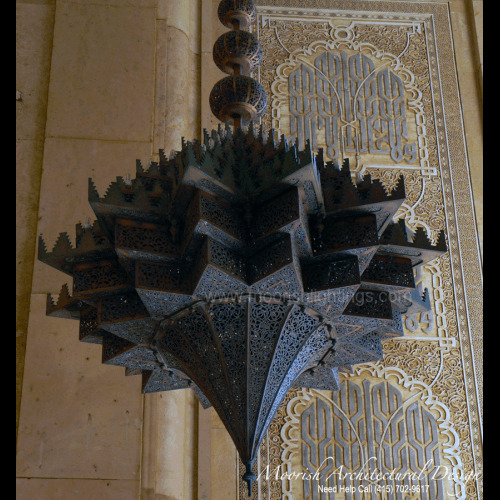 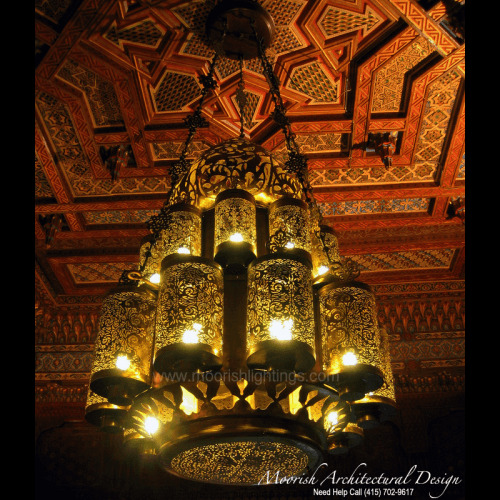 Moroccan Chandeliers are more than just a way to illuminate a room. 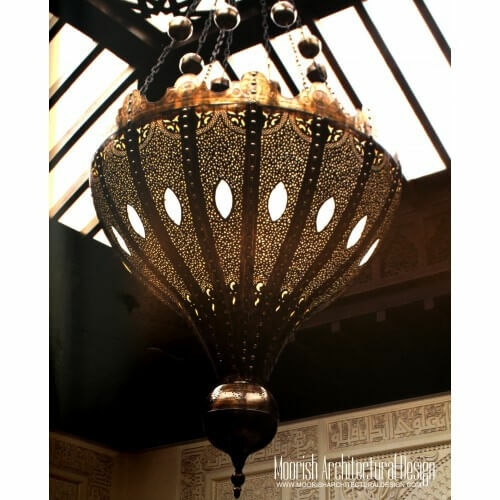 They add style and become part of the home decor. 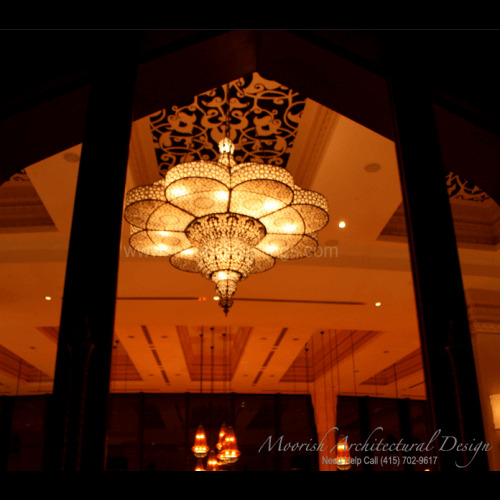 Like any decorative piece, the right chandelier can make a big difference in the look and feel of a room. 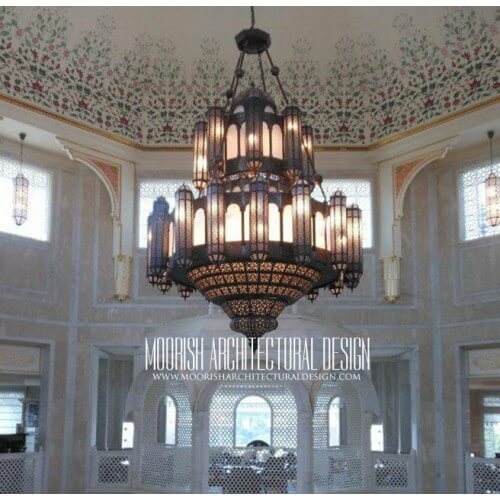 Chandeliers There are 14 products.